BC Series UPS battery cabinet is safe to use, reliable in performance and convenient to move. 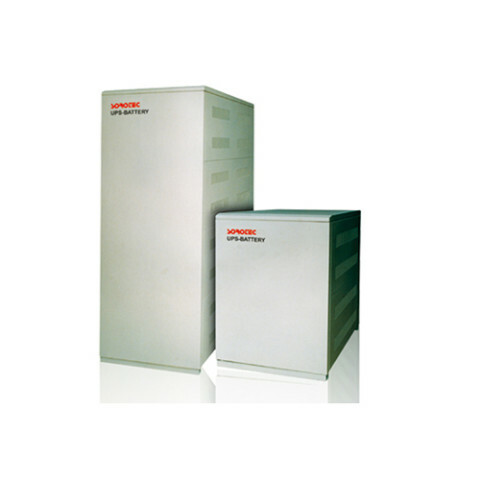 BC1000 UPS battery cabinet is designed to house large capacity batteries. For Example, it can house battery with 38AH, 65AH and 100AH. Power cabinets should have good technical performance. Structure of power distribution cabinet should be the necessary physical and chemical design, according to the equipment of the electrical and mechanical properties and the use of environmental requirements to ensure structure of cabinet has good rigidity and strength and good electromagnetic insulation, grounding, noise isolation, ventilation cooling, performance. In addition, the power distribution cabinet should have anti vibration, impact resistance, corrosion resistance, dust, waterproof, anti radiation, etc., in order to ensure the stability and reliability of the equipment. Power cabinets should have good use and safety protection facilities, ease of operation, installation and maintenance, and can ensure the safety of the operator. Power distribution cabinet should be convenient for production, assembly, debugging and packaging and transportation. power distribution cabinets should be in line with the requirements of standardization, standardization, serialization. Power cabinets shape beautiful, applicable, color coordination.